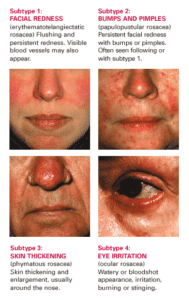 Abnormalities in facial blood vessels: Inflammation of the blood vessels causes flushing, visible blood vessels, and redness. Discomfort and burning sensation may be present. DemodexFolliculorum (microscopic mite): Microscopic mites are microscopic organisms that live in the human body and skin. They are naturally part of the ecological community of microorganism that live on and within the body. 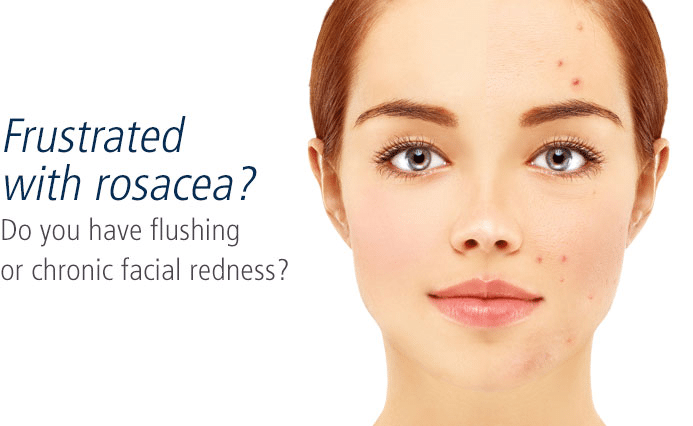 People with rosacea have a greater number of demodexfolliculorum. H. Pylori Bacteria: H pylori is a bacteria found in the gut, stimulates the production of bradykinin, a polypeptide that dilates blood vessels. 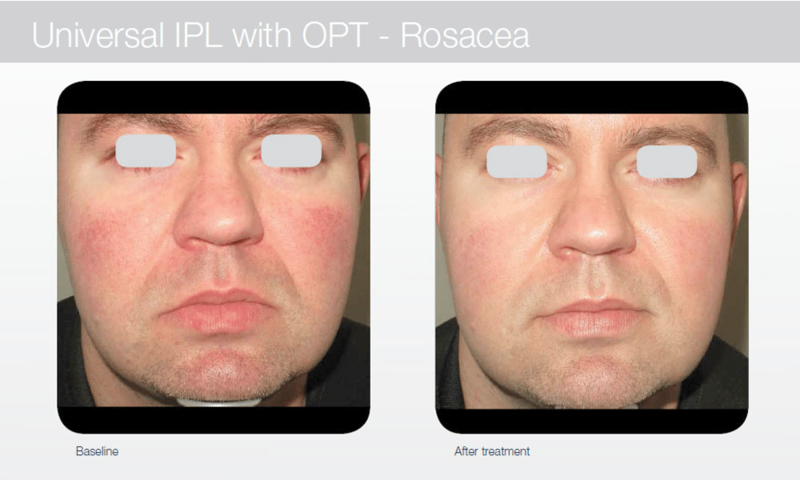 Laser treatments such as IPL (Intense Pulse Light) provide improvement for rosacea, redness and broken capillaries, as well as improving the overall appearance of the skin. IPL (Intense Pulse Light) provides customized treatment parameters to remove skin imperfections and the body’s natural process removes the treated tissue. 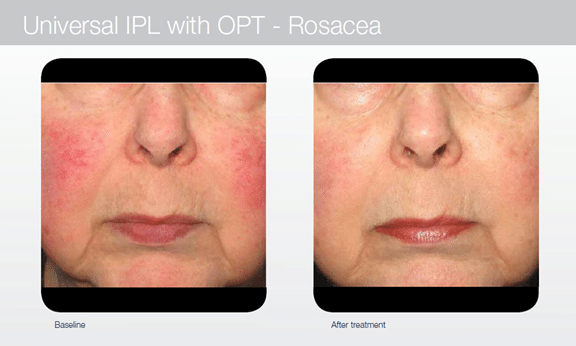 You will notice benefits of improvement in skin tone, collagen, elastic fiber and reduction in redness and vessels.